Bellytank upgrade #1 – It’s all about aerodynamics! Well, maybe it’s not all about the aerodynamics. On the last run we made in 2012 the steering wheel abruptly changed 90 degrees to make the car go straight. This was found to be the connection of the steering arm to the steering box had slipped. At 170 mph this did not give me a warm fuzzy feeling, so it was in need of a redesign. The end result is a custom built rack & pinion mounted to a round tube axle made from scratch, because off the shelf is never good enough. 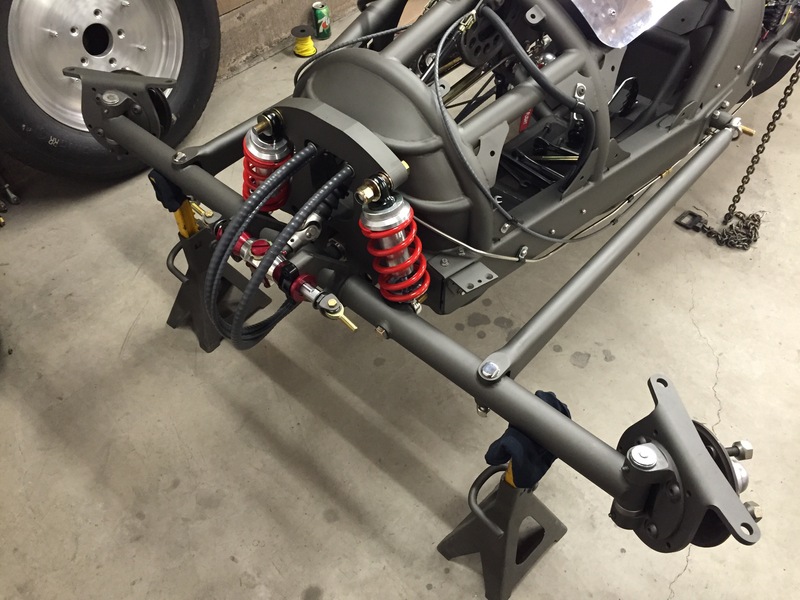 Coil over springs replace the old leaf spring and are mounted completely inside the body. 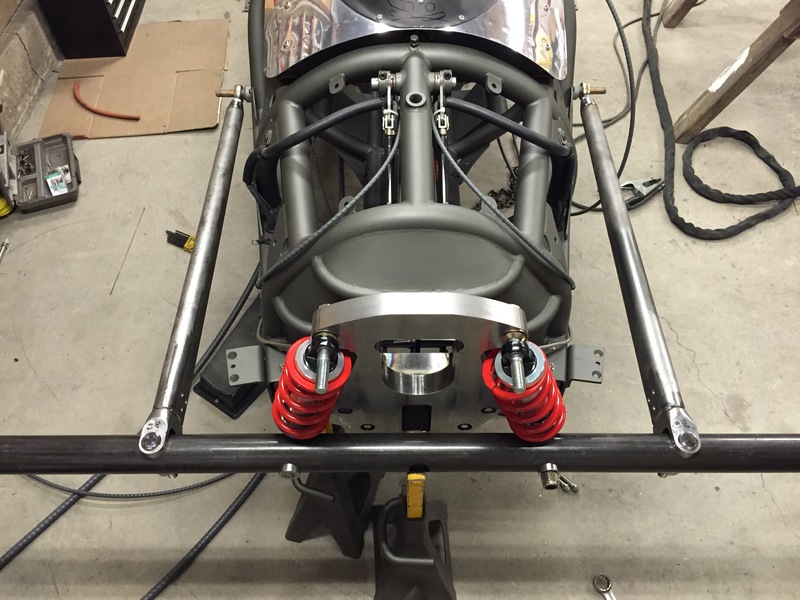 Since horsepower is hard to come by with a flathead, any little bit of aerodynamic improvement will help… Hopefully! 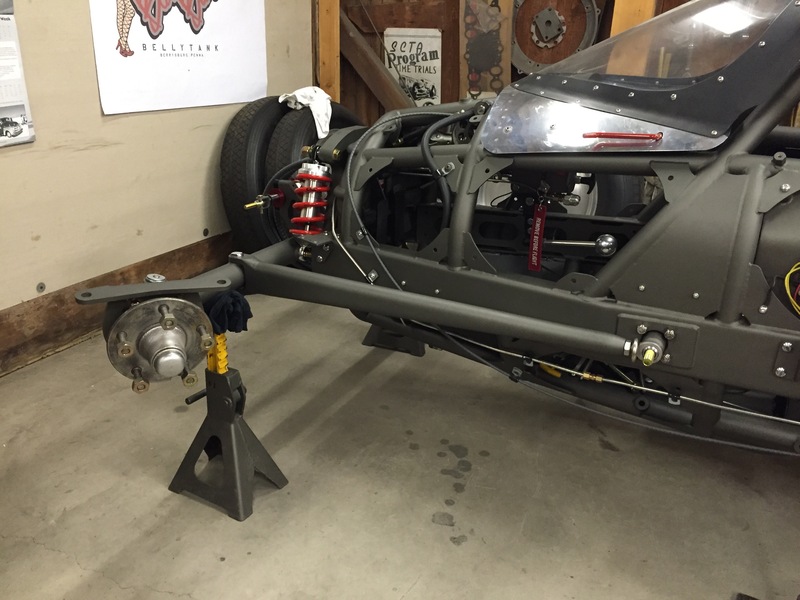 This entry was posted in Bellytank rebuild 2015 on July 20, 2015 by vonwelker.